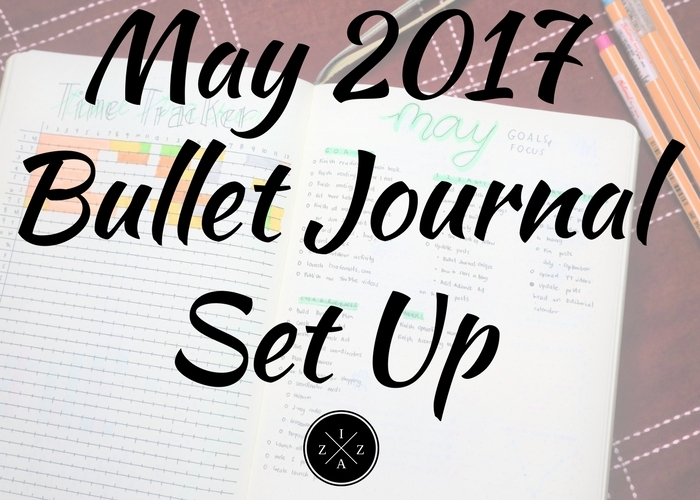 Today I will be sharing my Bullet Journal Set for May 2017. I’ve been loving my Leuchtturm1917 notebook so much and I can’t get enough on how beautiful my bullet journal is turning ever since I invested on it. Just like one of the things I learned after twoyears of bullet journaling, buying the notebook you really love is worth it. It will make you find more meaning and happiness in planning your day-to-day work. Here’s a quick overview on what happened to my Bullet Journal Set Up last April. And now a sneak peak on my May 2017 Bullet Journal Set Up. Still using the same vertical calendar layout for my monthly calendar for May. I can’t seem to find any other layout that works for me other what I currently use. I love seeing every line getting filled with events or meetings I have to attend and the highlights of the day. Out of bed by 6am – I usually set my alarm 5:45am, 6am and 6:15am. Morning pages – This is something I learned from this video. It is sort of a brain dump first thing in the morning of any thoughts you have. Morning devotion – This is something I’ve been meaning to do and I hope I really turn into a habit. Just devoting 15mins to the word of God for a better morning. Make bed before leaving – Another habit I really want to focus on is making my bed in the morning. Now that I have my own set bed sheet this should be easier for me. Out of house before 6:50am – Whenever I leave the house before 6:50am I arrive at work before 8am. This gives me an hour to read reads, search on new blog post ideas and get inspired. Post on Instagram – Hope you can follow me on Instagram because I literally spending time in making my feed look better. I share beauty, books, bullet journal and life in general in my Instagram. Post on SavingsPinay – My personal finance blog where I publish a new post every Monday and Thursday. Post on IzzaGlino – Here on IzzaGlino I plan to decrease the number of post just to keep up with my busy schedule at work and in my weddings and events business. Post on YouTube – I’m back posting videos on my YouTube channel. Although not as consistent as I’m supposed to be, I am still happy that I get to publish something new for my subscribers. 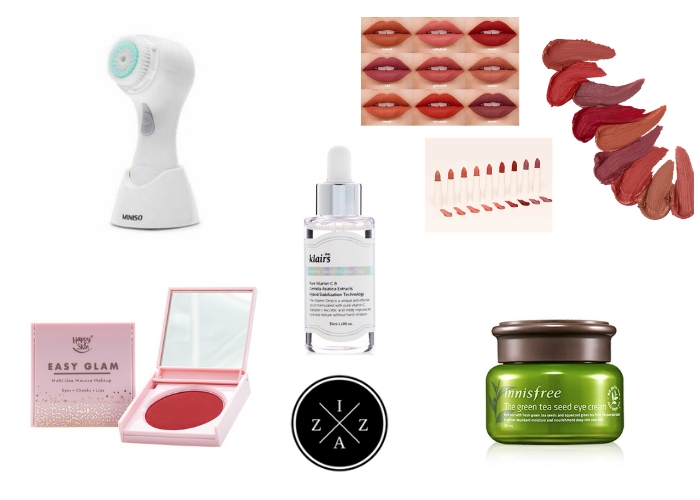 AM Skincare Routine – This became a habit now for me and I enjoy my morning having done and completed my skincare routine. PM Skincare Routine – I still miss a day or two with my evening skincare routine. There are days when I just feel tired and go to sleep without even washing my face. Anyhow I am still counting it as part what I want to focus on the coming months. Update Bullet Journal – I read in a blog before that updating your bullet journal is a good habit to track. And for someone like me who updates her bullet journal almost every single day, seeing the boxes done gives me sort of accomplishment. Read Book – You can read my reading list for May on the books for this matter. My technique is spending an hour in the morning and an hour before bed time reading. Admin Task – Before going to bed I try to catch up on some admin task on my blogs that I can do in 20 minutes or less. For Goals and Focus I still keep my layout as simple as possible. I wrote down my major tasks for each areas of my life. 1. Read 1 fiction, 1 non-fiction book – I’m almost done with Before I Fall (Fiction) and currently reading The Life-Changing Art of Tidying Up by Marie Kondo (Non-Fiction). READ: May 2017 Reading List. 2. Start reading again in general – YES!!! Finally I was able to pick up a book and really read again. 3. Spring clean my room (target this Holy Week) – FAILED. I postponed this since I am reading the book of Marie Kondo and would want to apply the KonMari Method. 4. No spend month (Dining out after work) – FAILED. Although I still kept myself within the budget for April, I will not lie I did spend some money on dining out. 5. Prioritize Habit Tracker or at least get more habits done compared to previous month.YES!!! Still not enough but at least I was able to achieve more than the past month. 6. Top up my stock investment. YES!!! 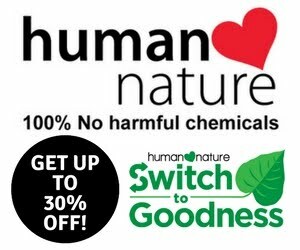 You can read the announcement of my stock investment here. 4. Reach 175 members on SavingsPinay Facebook Group from 144. No!!! – only 155. 1. Finish reading my reading list for May. I introduced this Monthly Time Tracker last March and haven’t been any more proud that I did this layout. I love seeing how much time go on my major activities on a daily basis. Again I will do a separate blog post for this very soon. Just like the past months I’ve been preparing my weekly and daily layouts ahead of time. For May I had some major changes by including a tracker and running list on the whole layout. Trackers. A place where I track my water intake, mood and energy level. Running List. A place where I schedule my recurring tasks. This is very new to me so I’m still tweaking it. The Best and Cheapest Multi-Purpose Makeup Remover Ever! | Vaseline Healthy Sunblock Water Resistant UV Protection Lotion Review | iWhite Korea BB.Holic Everyday BB Cream Review -New!